1. I'm sick again. I was sick two weeks ago. I got one week of reprieve and my hubby gladly returned my virus to me. Yes, he's sick too. I'm just thankful neither of the kids have gotten it. A real Petrus would cost thousands of dollars. This is the closest will get to one, for now. 3. We also celebrated my son's birthday! The day before we had brunch at his favorite restaurant and the actual day we went bowling, had pizza and then, of course and ice cream cake with m&ms. He had a good time. 4.﻿ We got a new TV! I don't watch much television. There's only about 4 shows that I really pay attention to, otherwise I'm reading. Anyway, my hubby got a surprise bonus from work and treated himself to a new HDTV with WiFi, so my favorite part of the new TV is that I get to stream movies directly from Netflix whenever I want. I'm most excited about the foreign and documentary films I can now watch, though I'm not sure when I'll be able to since I'm either with the kids, in the kitchen, cleaning, running or reading. I could stay up late on Friday nights but then I won't be able to wake up Saturday morning for long training runs. What a conundrum! Eh, I'll figure it out. 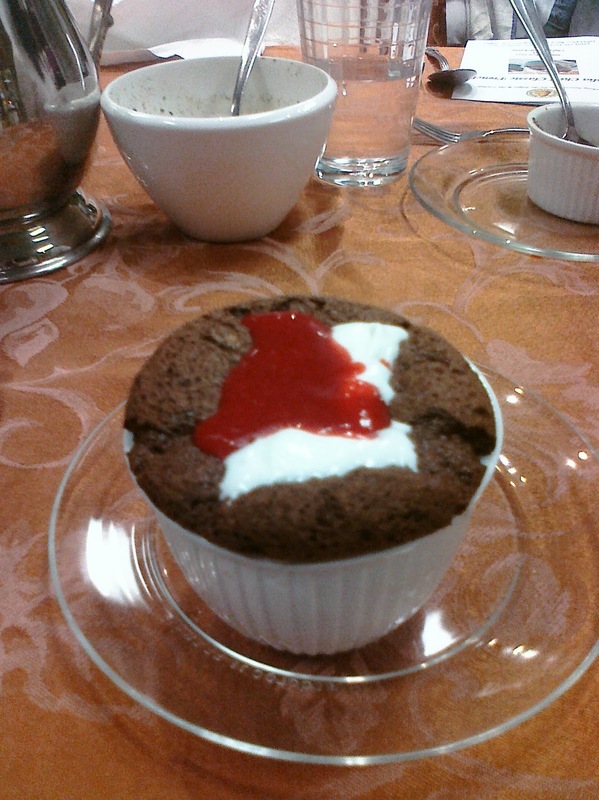 which melted on the still hot souffle. ﻿﻿﻿6.﻿ I finished reading The Spirit Catches You and You Fall Down. It was an emotional read and an excellent book. I especially recommend it to anyone in or entering the medical field. 7. I recently read The Help . I could not put this book down. A wonderfully written story that brings you back to a time none of us could ever really understand. This book brings the emotions and strength of the main characters to the surface and I, as a reader, felt I could connect with them. Empowering, which I rarely call fictional books. 8. You think I like to bake? You think you like cupcakes? Perhaps even LOVE them? Well, get a load of my very talented, very artistic and creative sister (who I also refer to as a female Alton Brown because of the classes at Davis she's taking). Get ready to drool: Cupcake Brat. 9. I read the second Stieg Larsson book The Girl Who Played with Fire . I was hesitant to read it because after reading the first one I figured out Larrson's formula and thought this book would be predictable and therefore a disappointment. It was a good book. Just a little predictable to me and a bit long winded. There's a lot that could have been cut out, but of course without Mr. Larsson alive to help in the book editing, that could never be possible. Still, a good read, especially if you're a fan of the main character (and you think she's pretty freakin' cool. I have a decent photographic and auditory memory, but Lisbeth is over the top and you know there are people like that! Scary!) I hope the third book brings a wonderful closure to this trilogy. One that is not predictable or disappointing. I'll keep you posted. 10. We had a nice quiet Valentine's Day. Well, more like a weekend since all four of us went out to dinner for a Valentine's special at Lawry's of Beverly Hills. We had a gift card and so many gift certificates the meal only cost us the tip! It was a nice dinner, though my son had a cough and wasn't into it as he usually is. 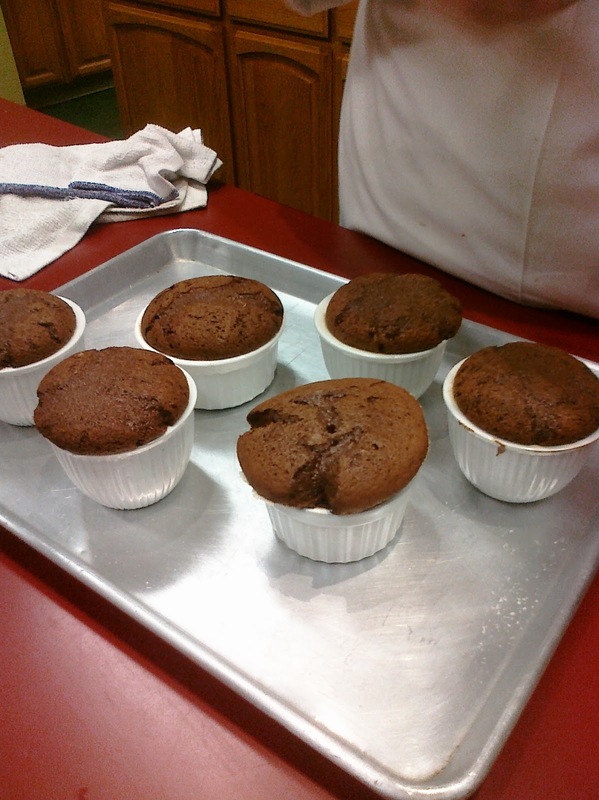 Then on Monday I made Portobello Mushroom Fajitas and made another batch of chocolate souffles using what I learned in the French Cooking class. It was all good! 11. My new favorite snack. I usually have a mid-afternoon pick me up snack (some carbs and protein) and I love that this is not too sweet, has just the right touch of cocoa and is low calorie. I have only been able to find it at Whole Foods. They also have a cinnamon sugar one that is just as good if chocolate is not your thing. This is the kind of snack I treat myself to if it's been a rough day; the kind of day that could be comforted with chocolate cake, but doesn't need to be! 12. So, for lunch I usually have a power salad or a power smoothie. I say power because both are made with veggies, some protein and a little frozen fruit. My favorite trick for smoothies is to add a handful of fresh baby spinach and/or FROZEN broccoli (it must be frozen) to the blender along with my whey protein mix from Whole Foods (I can't do soy protein; my body does not like it). Anyway, YOU CAN'T TASTE the spinach or broccoli AT ALL! It helps me meet my daily servings of vegetables and bulks up the smoothie, making it more satisfying and filling. If you have kids who love smoothies you can add this, especially to berry smoothies, and they won't taste a thing. Those are the only two I know that work really well. If I discover any more I'll let you know! 13. Since I'm on a food roll: I love oatmeal for breakfast. Especially steel cut oatmeal made by my hubby! However, I don't have that much time in the morning to make steel cut oatmeal so the next best thing is Dark Chocolate Oatmeal by Three Sisters. Low in calories, high in fiber and a total chocolate fix. Okay, this is the end of the road ;-) -----my Facebook peeps will get that one. Ciao for now! I love your sis' blog!